4 Important Facts About Your Roofing Underlayment. 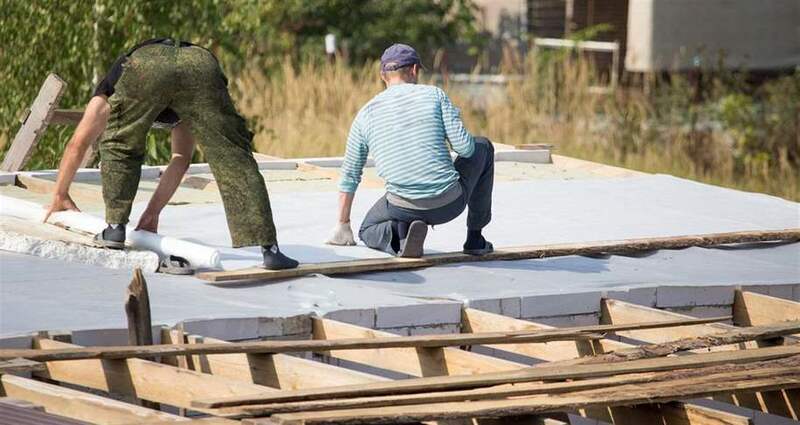 Roofing underlayment, which provides a moisture barrier for your home, may be something you’ve never heard of before, but if you’re looking to build a new roof, you need to know the facts. There are three different types of roofing underlayment. First is Asphalt-saturated felt, also known as felt or tar paper. Water-resistant, this method is reliable but out-dated by about 15 years. The more modern water-resistant type is “Non-bitumen synthetic underlayment”, or simply synthetic underlayment. Most notably it includes fiberglass to improve resistance to tearing. While synthetic is the most commonly used nowadays, you’ve got the third option of rubberized asphalt underlay. A little more heavy duty, this one is often used in more specific use-case scenarios where more extreme weather is common. It is more expensive than other options due to the more expensive materials in it. Water-proofing and water-resistance. For less extreme weather, water-resistance is typically adequate. Winnipeg, however, is another story. Extreme cold is a constant, and high winds are common. Water-proofing is the only option here. Not only will it protect more effectively from the extreme cold and winds, it will also prevent damage from ice formations. Installing it at the eaves can also help prevent future damage. Warranties are something few people want to address, but if you’re paying for a high-quality roof for your home, you need to protect your investment. These can also contain many stipulations about material, installation method, and they have variable lengths. For underlayment there is usual also a clause about needing a “clean roof deck” or removing all pre-existing roofing materials. The idea is that it will be a “fresh start” and the warranty covers installations and defective products, rather than any mistakes that may have been made previously. Speak with the contractor for more details. We also need to talk about the contractors. Make sure you have qualified roofing contractors. This means people who not only know their craft and are familiar with Manitoba building codes, but who also have the customer service side of things. Testimonials and reviews can answer the former, but you will need to judge a little bit more personally for the latter. Chances are you aren’t a construction expert, which is why you need a contractor. A quality contractor should be able and willing to explain what they plan on doing, what the costs will be, go over the warranty details, and explain what materials they will use. While they certainly don’t need to teach you all about roofing, they should be able to get the message across in a way that you can understand. You want to know what is being done to your house! Some will also give you an estimate with no charge or obligation, which can give you an idea of what you’re walking into. Now you have the tools to acquire the right supports and make more informed decisions about the underlayment for your roof, often overlooked but incredibly important, especially in a chilly place like Winnipeg.